Along with Edwina‘s, “Cover Stories Vol. 1” features songs from Chris Helme (of the Seahorses), Ryan Spendlove, Sam McKie, Rob Bywater, Alastair Artingstall, Sophie Madeleine, Joe McCorriston and Mikee J. Reds. Parcell will be performing the cover album live on The Fox’s Den Radio Show, Vixen 101 FM on Friday 25th April from 9 pm. And if you’d like to attend one of his shows, he’s the monthly resident artist at The Funny Onion, Bridlington, on the first Friday of every month. For more info, follow his official Facebook page here. 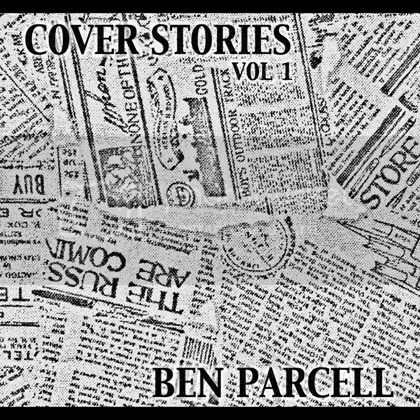 This entry was posted on 13th April 2014 at 6:17 pm and is filed under News with tags Acoustic, BandCamp, Ben Parcell, Bridlington, cover album, Cover Stories Vol. 1, folk pop, free download. You can follow any responses to this entry through the RSS 2.0 feed. You can leave a response, or trackback from your own site.